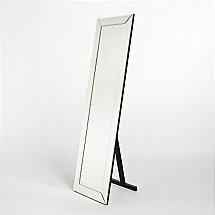 This mirror is the big brother of the smaller model launched recently. 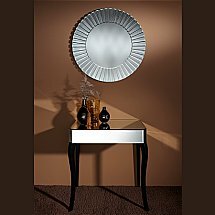 This sleek design mirror is designed by Roberto Paoli, who found his inspiration in the geometric work of the mathematician and astronomer Johannes Kepler. The circular mirror is divided with a cord -a Chord- in geometry being the line connecting two points on a curve-. 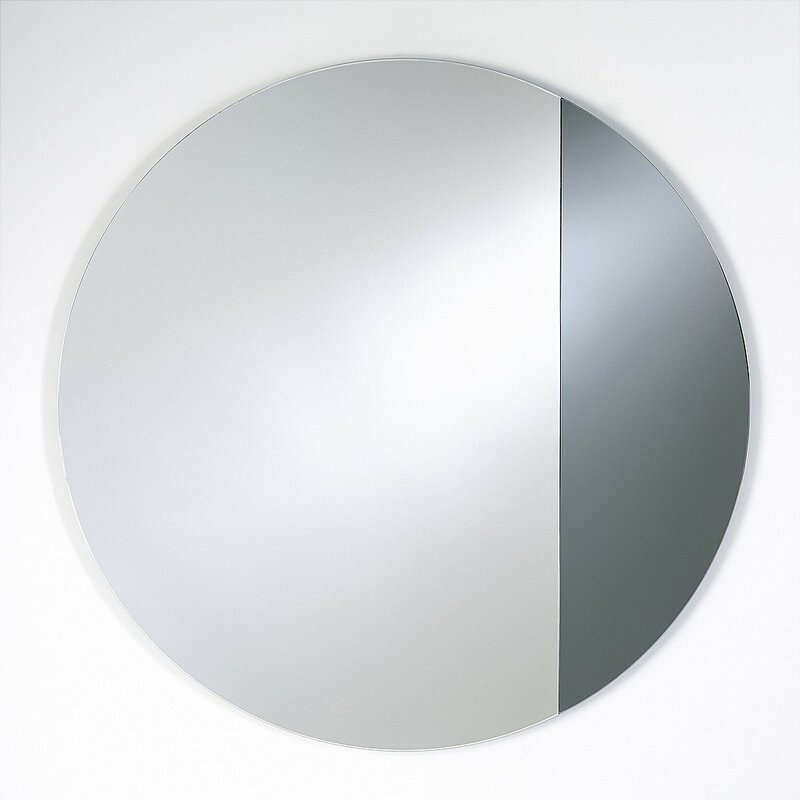 Roberto Paoli followed the proportions chosen by Kepler and emphasized the difference between the two parts of the circle, distinguishing them with mirrors of different colours. 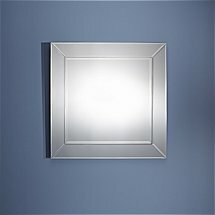 The larger surface part is in clear mirror, the smaller in smoked-grey mirror. 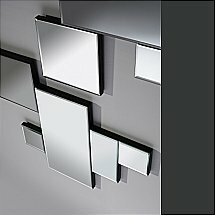 The mirror can be suspended in 4 different directions. 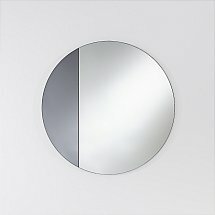 I would like more information about Cord Grey Mirror by Deknudt Mirrors.